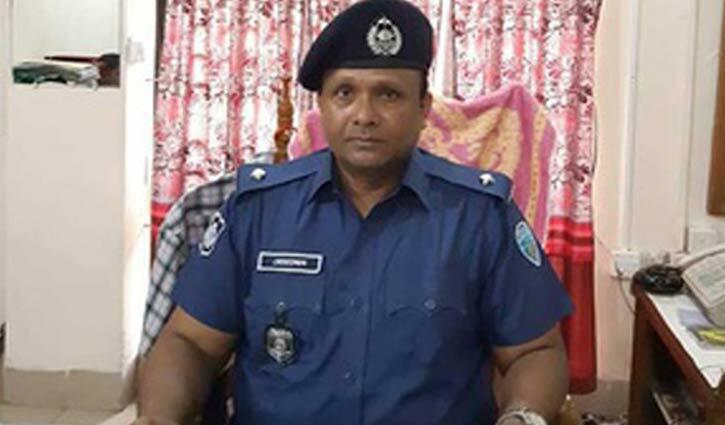 Staff Correspondent: A case has been filed against suspended officer-in-charge (OC) of Sonagazi Model Police Station Moazzem Hossain with Cyber Crimes Tribunal under the Digital Security Act. Supreme Court Lawyer Barrister Sayedul Haque Sumon filed the case on Monday under. Hearing in the case would be held today, said the lawyer. Locals complained that the OC filmed the victim Nusrat Jahan when she went to police station. During interrogation at the police station, Moazzem Hossain asked her offensive and unpleasant questions over the incident. Later, the OC spread the video footage on social media. Following the incident, on April 10, the OC was withdrawn on charge of negligence of duty. After fighting for her life for five days, Nusrat, a student of Sonagazi Islamia Senior Fazil Madrasa in Sonagazi upazila of Feni died at Dhaka Medical College Hospital on Wednesday night.